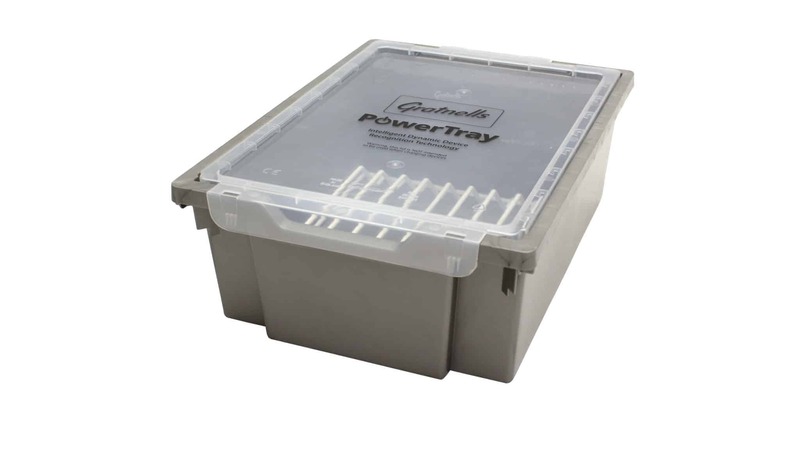 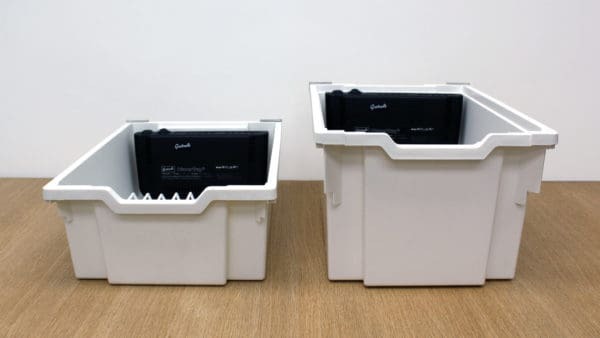 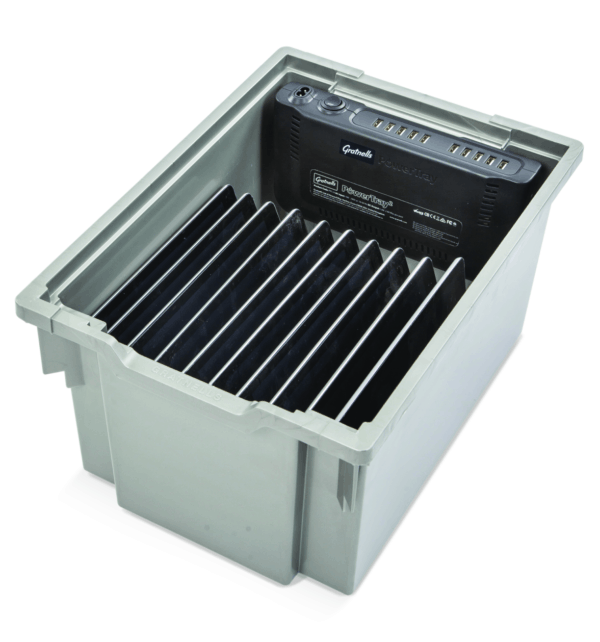 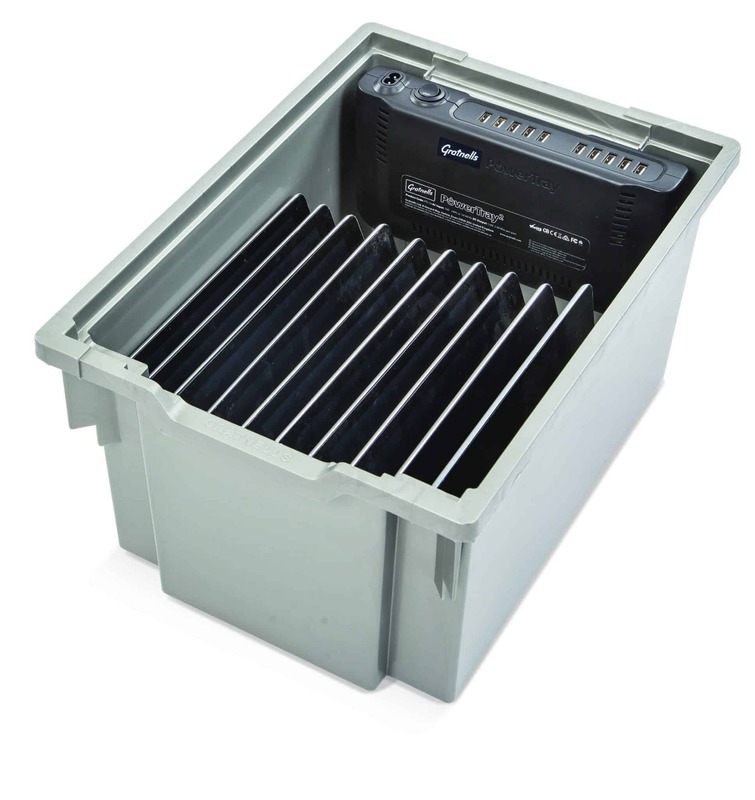 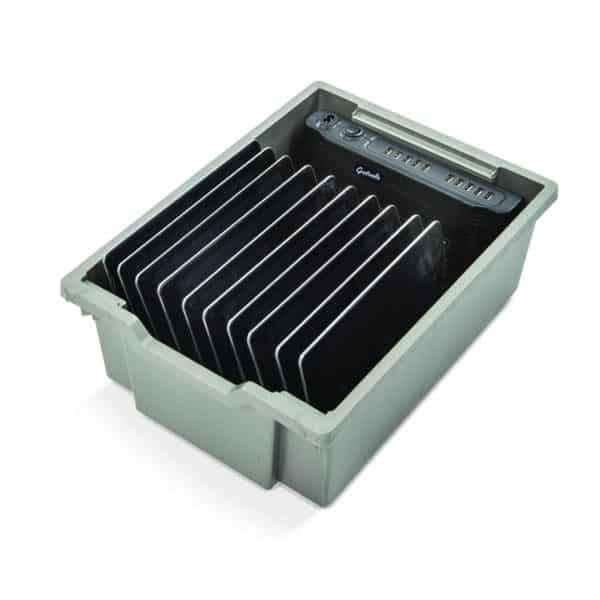 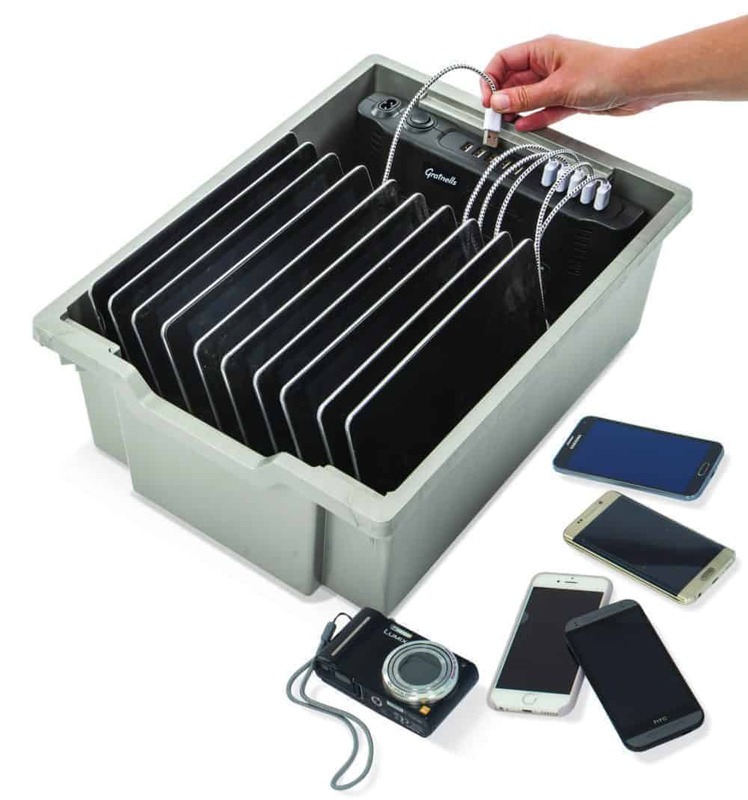 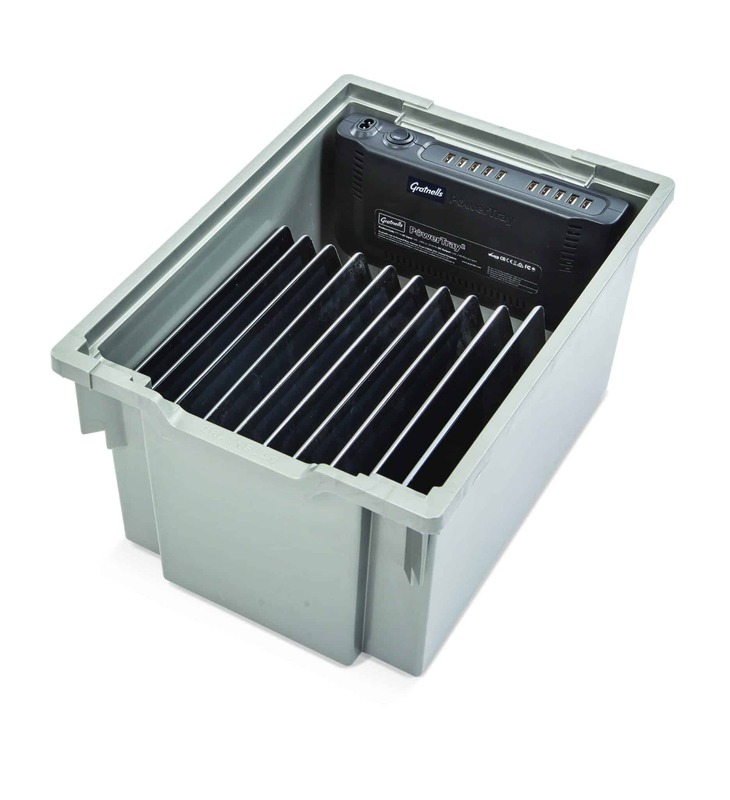 The Extra Deep PowerTray2 is the second generation PowerTray from Gratnells. It has been ergonomically designed and is housed in the iconic Gratnells tray shape, providing full mobility and ease of use. 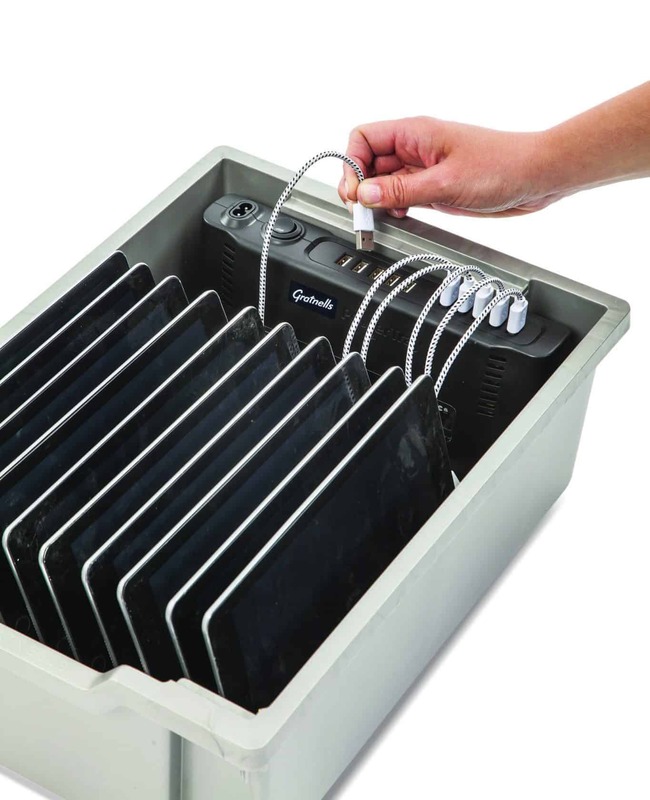 The Extra Deep PowerTray can charge up to 10 USB devices at optimum speed, thanks to its built-in digital device recognition technology. 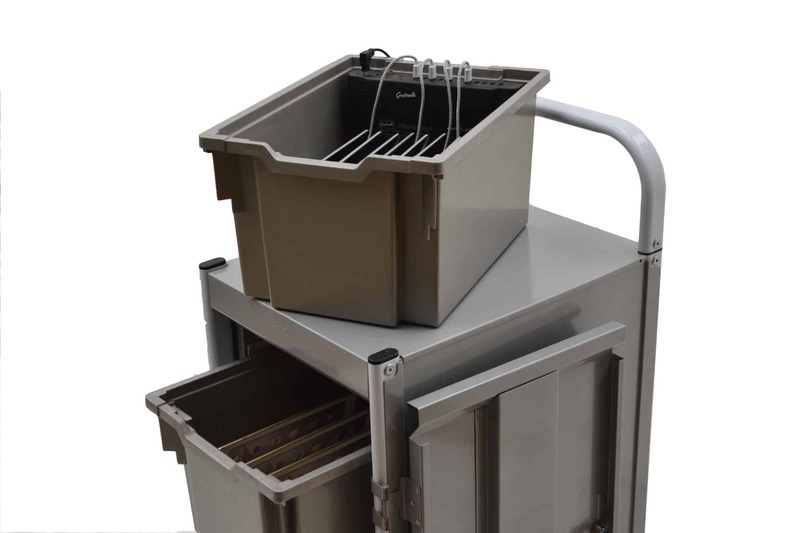 Fully compatible with a variety of worldwide classroom and office furniture the new improved PowerTray 2 can integrate with existing storage offering a perfect, cost effective solution to many schools and businesses.